This weekend we get to go to church in our pajamas! I look forward to it two times every year – not only because we don’t have to dress up (don’t get me started on the chaos that happens every Sunday morning getting 5 people ready!) but also because I always feel uplifted and inspired. A nap in between definitely doesn’t hurt. Quotes are kind of my thing. I’ve always been drawn to them. And just like I had pictures all over my wall growing up, I also had lots of quotes. I made quote books. As I’ve gotten older, not much in that way has changed. If you visit me, the wall of my homes is covered with quotes as well. 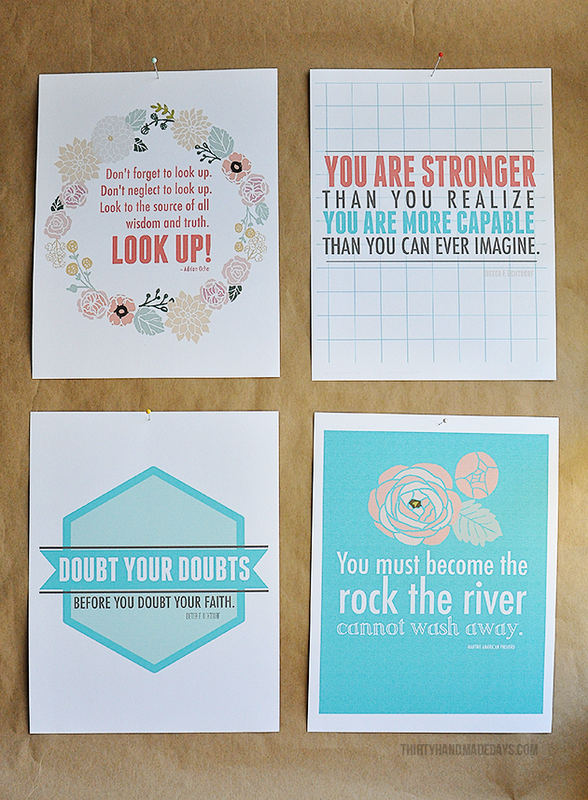 Last October I created some printable quotes from my favorites talks. They have provided lots of encouragement as I’ve had my fair share of bumps over the last several months. I appreciate these wise words and all of the guidance from speakers each time. *Some elements from the designs were purchased at the Ink Nest. 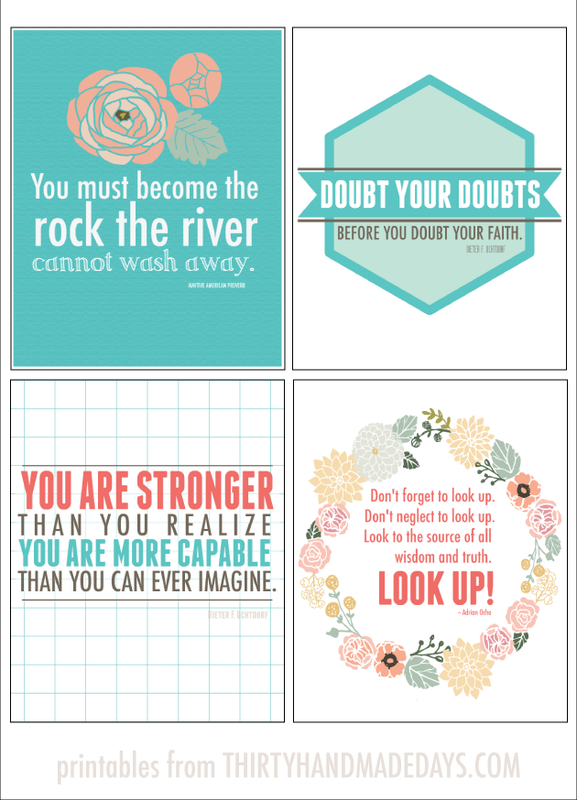 I love the Printables you create. Your binders are helping me to get my household organized. I’d really like to subscribe by email but can’t find out how to subscribe. Hope you can help. Thanks again for everything you do. OOPS! Love the things you create! Love the things you creats. You are a remarkable woman! 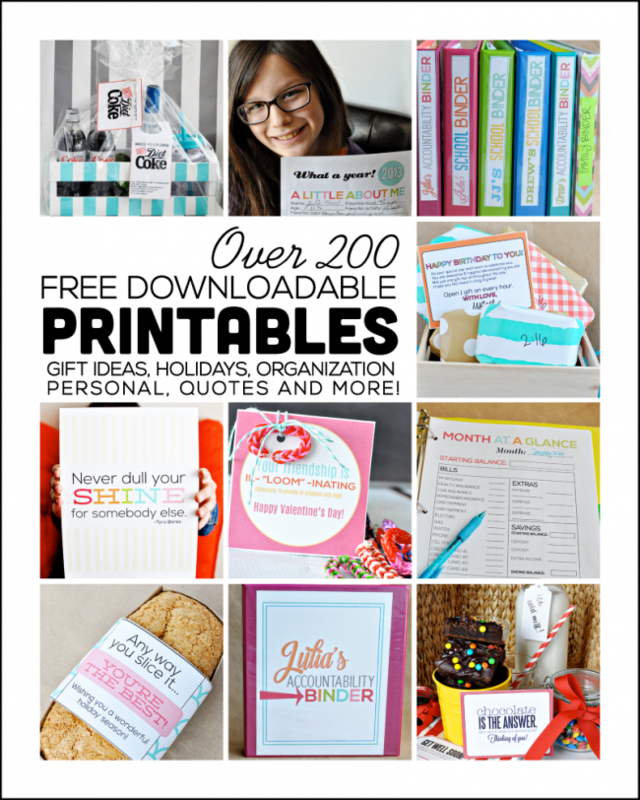 I sure do enjoy your quotes, binders, recipes and other fun ideas!